A new app allows users to allocate change to an investment portfolio. 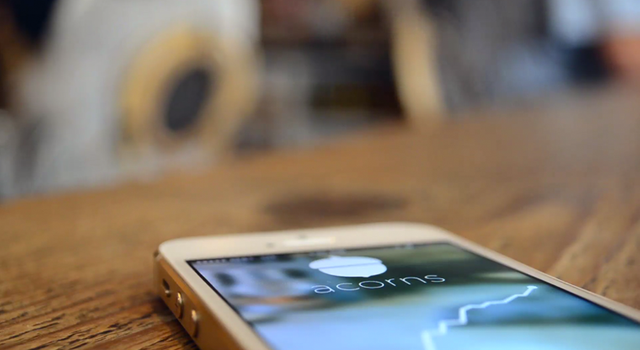 Acorns provides an easy way to save and invest without having to thinking about it. the app provides a way for consumers to put small amounts of money into stocks without having to think too much about it. After linking their credit or debit card to their Acorns account, the app calculates the difference of each purchase to the nearest dollar and takes it out of their account and into their portfolio. For example, a USD 2.50 coffee will automatically prompt a USD 0.50 transfer into the Acorns investment, while a USD 30.90 taxi fare will result in a USD 0.10 transfer. These small amounts allow the portfolio to build up over time.